Internet Explorer has come a long way since IE6, and you may have started using it again after reading one of the very convincing accounts of how Internet Explorer has greatly improved Surprise: Internet Explorer 11 Has Matured Into A Modern Browser Surprise: Internet Explorer 11 Has Matured Into A Modern Browser Remember Internet Explorer 6? Well, Internet Explorer isn't horrible anymore. Whether you like IE or not, you can't deny that it has improved dramatically and is now worthy of taking its place alongside other modern... Read More . However, technology will always have problems and glitches no matter the brand or how much it has improved. Here are some of the most common problems you may encounter with IE and quick and easy solutions for fixing them. Some of the troubleshooting methods may overlap from problem to problem. So in order to prevent redundancy, I will reference to a previous section in which that was discussed already. 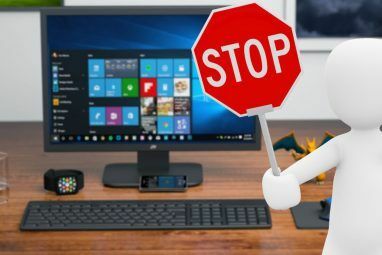 I know you may have heard this advice a hundred times, but seriously, before you ever try to troubleshoot anything in depth, quickly run Windows update Windows Update: Everything You Need to Know Windows Update: Everything You Need to Know Is Windows Update enabled on your PC? Windows Update protects you from security vulnerabilities by keeping Windows, Internet Explorer, and Microsoft Office up-to-date with the latest security patches and bug fixes. Read More to check for any missing updates. Even if you have Windows set to automatically install updates, there could be optional updates that haven’t been installed. In versions before Windows 8, go to the Start Menu and type check for updates. In Windows 8 and 8.1, go to the Start Screen 10 Windows 8 Start Screen Hacks 10 Windows 8 Start Screen Hacks Windows is moving towards a more locked-down direction with Windows 8 and its Start screen and "Modern" app environment. There's no denying this -- you can't even set a custom Start screen background without installing... Read More and start typing check for updates. If you’re using Windows 8.1 5 Ways Windows 8.1 Can Make You More Productive 5 Ways Windows 8.1 Can Make You More Productive Who would ever want to buy a new computer and be forced to start using Windows 8? Well, this guy right here for one. Turns out Windows 8.1 is amazing for productivity! Let me explain... Read More and browsing via the IE app (otherwise known as Immersive Browser), you may experience pages saying “You’re not connected”. The easiest way to test if this is an issue with the app itself is to view the same webpage in the desktop browser. In the bottom right corner, click the “wrench” icon and then click View in the desktop. This will open the page in the IE desktop browser. If it works, you’ve narrowed down your problem to the Immersive Browser and probably need to update it. 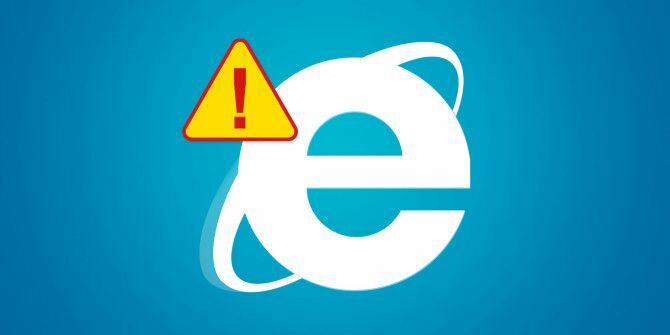 If you’re experiencing 404 errors, but you know the webpage exists and you are connected to the Internet, try resetting Internet Explorer. Go to the Tools “gear” icon and click Internet options. Under the Advanced tab, click Reset. When the Reset Internet Explorer Settings dialog box appears, click Reset. Internet Explorer will apply the default settings. Click Close and then OK. You will need to restart your computer for the changes to take effect. There are several ways to address these problems. The first is running Internet Explorer Performance troubleshooter. Search and click Troubleshooting. At the top of the left menu, click View All, then Internet Explorer Performance. There is an Advanced link which displays the option to Run as administrator. I always suggest this when searching for problems since admin rights can yield more accurate results. Make sure the checkbox Apply repairs automatically is checked, click Next and follow the rest of the instructions. Turning off hardware acceleration can also help. Hardware acceleration uses your PC’s graphics card to accelerate graphics-extensive tasks, such as streaming video or playing online games. In Internet Explorer, click the “gear” Tools button in the top right corner, then click Internet Options on the menu. Select the Advanced tab, then check the box for Use software rendering instead of GPU rendering. Click OK and restart Internet Explorer for the change to take effect. Add-ons can often interfere with the browser’s performance. The best way to determine if this is the case is to temporarily disable them. Unfortunately, going to Manage Add-ons and disabling them means you have to go back and manually enable them, as there will be some you will already have disabled. This would be very time-consuming. There’s a better way. Open the Run box (Windows Key + R) and type iexplore.exe -extoff and hit Enter (Surprisingly, this method wasn’t found on Microsoft’s IE troubleshooting page). If all else fails, you can do a complete reset of Internet Explorer, mentioned previously in the “404 Error” section. As previously stated, this will return it to the beginning state in which it was first installed on your computer. It’d be a good idea to back up your bookmarks and any saved passwords/web forms you have. If you’re still having issues, you can also try turning off hardware acceleration, mentioned in the previous section. Did you turn on Tracking Protection for that site previously? Though there are benefits to it, it may also interfere with content. To turn off Tracking Protection, click the Tools “gear” button and Manage add-ons. Tracking Protection is the last option in the left column titled Add-on Types. Then right-click on the list and click Disable. You can also try clearing your browser cache, otherwise known as temporary Internet files. Note that this will also delete your Compatibility View list. Click the Tools “gear” icon, then Internet options. On the General tab, under Browsing history click Delete. 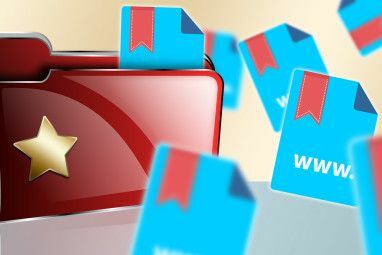 Select the check box Temporary Internet files and website files and click Delete. The video you’re trying to play may require an add-on that you don’t have in your browser. If you’re having trouble playing videos in the Internet Explorer app (what Microsoft calls Immersive Browser), then you can try watching the video in the desktop browser by clicking the Page tools “wrench” button in the bottom right corner and clicking View in the desktop. If you’re already using the desktop browser, make sure first you aren’t viewing the website using InPrivate Browsing as it might block info or add-ons required for playing the video. Viewing the website with Compatibility View can also correct the problem. This method is covered previously in the “Display Issues” section of this article. 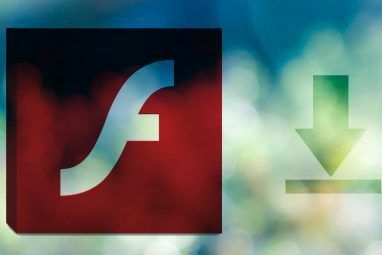 You can try all the previously-mentioned solutions for this problem such as Compatibility View, turning off Tracking Protection and clearing temporary Internet files, but first make sure that Internet Explorer is set to show pictures. It’s simple fixes like this that make us scratch our heads how we didn’t think of this sooner… and how it got unchecked in the first place. Go to the Tools “gear” button, click Internet options, the Advanced tab and scroll down to Multimedia. Make sure the checkbox (last one) that says Show pictures is checked. If this is checked, you can reset Internet Explorer’s security settings. While in Internet Options, click the Security tab and click Default level. Note that this button will be grayed out if Enable Protected Mode is checked. Uncheck it, click Default level and restart your PC. Last case scenario if none of these work is resetting IE to its default settings, previously mentioned in the “404 Error” section above. Of course, there are always problems with technology and we can’t possibly cover all of them in one article, though we tried to provide quick solutions to the common issues that IE users have run into. What have you done to make Internet Explorer work for you Make Internet Explorer 11 Work for You With These Tips Make Internet Explorer 11 Work for You With These Tips Internet Explorer 11 isn't terrible! In fact, if you've got a Windows tablet and have bought into the whole Metro -- sorry, "Modern" -- interface, it's probably the best touch-based browser out there. Read More ? Have you had a problem you found was common among IE users? What solution did you discover to fix it? Share your thoughts in the comments below. I can get into the Patent Office website but when I go to place an order for a certified copy a window appears and it says "Internet Explorer has modified this page to help prevent cross-site scripting" and therefore I cannot place my order. All I'm wanting to do is find out why my skype disconnected my phone call and now wont work. Technical support wants about $50 to help. I think skype should offer support free since u are already paying for their service. I cant seem to find any technical support anywhere from skype directly, only indirect support. Any suggestions? Thank u. "Setup can't continue because a more recent version of Internet Explorer is installed on your Computer". I have attempted to find what remains but nothing obvious and unable to find any solution that works as I have been through them all including installing Oracle Virtual Box but arrive at the same problem. Can you assist please as old stored html data is redirected to IE by Firefox or Chrome and nothing works. What about the problems surrounding history and cookies? That seems to be missing in this article because there has never before been a fix out there. Just curious, how do people manage their webcachev01.dat file at the moment? I get an IE dialog box immediately after opening IE11, it asks me to choose my home page and search settings, options are Microsoft settings or current settings. Can choose either one, but click on the "Done" button & nothing happens. IE hangs, can't do anything except end it with task manager. This is a recent problem. Turning IE off & back on in Windows Features does not help. I get this error as well, I can use system restore and take it back about 1 month but then it comes back after less than a day. WHENEVER I OPEN IE11, IT GOES TO DIALOGUE BOX FOR 'saving downloads'!! cannot open a blank tab !! I'm just trying to find out how to close the immersive browser. There's no little red X hidden in the top corner. Grab top edge and slam down doesn't work. There's no help screen, no instructions. I didn't ask to be thrown in this deep end, I was quite happy where I was. If you're going to do this to your customers, Microsoft, at least give us a warning. "Dear user, we are about to upgrade your experience, take away all the controls you're accustomed to, and not tell you how to operate the new environment. Enjoy!" "Takes effect AFTER YOU RESTART YOUR COMPUTER." So, just closing, and re-starting Internet Explorer will NOT disable GPU rendering. (Caps, BTW, are for emphasis only). I don't see my actual issues on here. I just downloaded the latest IE version as well as Java and Adobe Flash updates and any current patches. IE continues to: 1) frequently give me the window that says "Internet Explorer has encountered a problem and has to close" and then it just boots back up 2)after using IE for about 15-20 minutes the bars at the top of the screen look all wonky and it doesn't work right. Has anyone else had these problems and what is the fix? Thanks! My problem with IE 11 in Win 8.1.1 64bit is that I simple cann't delete any link from Favorites bar. When I try, IE crashes. Trying to find answer at microsoft support site, but they told me to clean links from Favorites menu. OK, that way is working, but from Favorite Bar, never. From beginning, at Win 8.0 until now. I'm happy to continue in trying to help you solve the issue. You might also ask the question in MakeUseOf Answers to see if the MUO Community has any insight on the matter. Well in Chrome you can use IE Tab which is more stable than IE itself. i totally boycott the IE since 2012. Maybe if IE was W3 Standards compliant, there wouldn't be so many problems with it. this 100%, as a web developer half my time is spent 'porting' my applications and sites for IE compatibility. Yeah, that joke's pretty tired. Chrome also has its problems, as does Firefox. I have to use all three browsers because they all fail at something. Chrome has become worst than IE. The newest IE works great, I use it on my tablet. Firefox is the best though because its customizable..
As someone who handles desktop support, I've also found that recent builds of Chrome for Windows are actually worse than IE. I have a strong preference for Firefox, in part because it has a better addon ecosystem, particularly for privacy and security, and in part because it's a lot easier to clean up and maintain for end users than the ridiculous mess of hidden settings and file locations that Chrome offers. Adblock Plus is now available for IE6+ (yes, it even works with un-updated Windows XP machines). Since using IE pre-10.0 as XP and Vista are forced to do is a recipe for getting every kind of herpes on the Internet, ABP is basically the best single defensive step one can take for keeping a computer safe. I'd say it's more valuable than any other single security application. It would be better if it had feature parity with other versions, but under its Add-on settings, users can disable even ads from un-obtrusive sites, which basically means Google ads. IE is compatible with A9 search plugins. The biggest repository of those that I know of is The Mycroft Project, so if you'd like to ditch Bing in favor of something that isn't terrible at search, or if you'd actually like to make the address bar useful for searching, all your needs are right there. Finally, because it frightens and confuses some of my end users when they activate it on accident, here's how to disable fullscreen browsing.